A few years ago, Amin Davaie had a goal in mind that proved impossible to attain. He had decided to study Design and Technology at Parsons, The New School of Design in New York. However, since life circumstances in Iran often take us on a different path than intended, he also involuntarily had to change his. This eventually changed his professional trajectory. 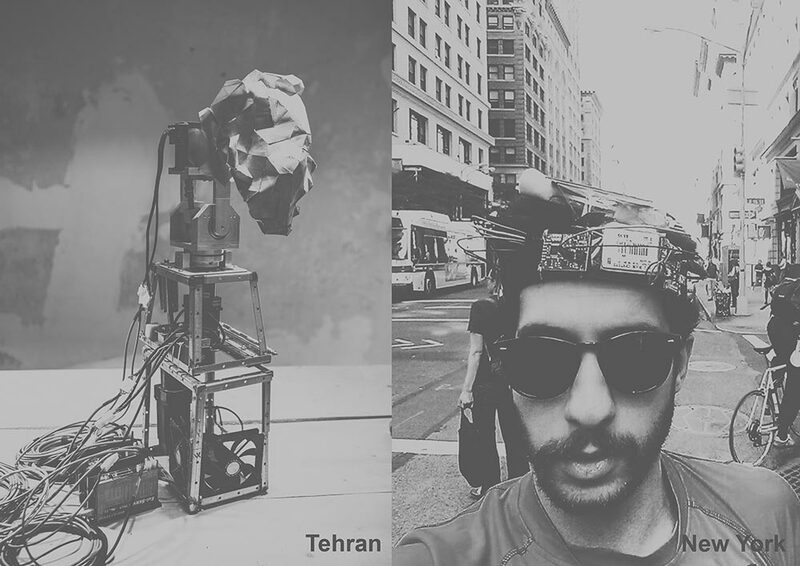 Today, Saman Tehrani, who had recently collaborated with Amin on a few projects, is studying at the same university and majoring in the same field. The duo decided to collaborate again to digitally represent Amin’s unfulfilled wish within the context of an interactive installation, while maintaining that any representation is always incomplete. Amin Davaie born in 1986, is a Tehran-based digital artist and cultural worker. He started with photography as his main profession in 2006 and since 2009 has been active in the field of digital and video art. Amin has participated in more than twenty international and local exhibitions and has held one solo exhibition. He has won multiple awards in international festival. Saman Tehrani is a New York-based engineer and artist. He holds a degree in Computer Engineering from his homeland Iran, and is currently studying Design and Technology at Parsons New York. His work has included software development, interaction design, interactive installation and sculpture. He often uses robotics, sensory environments and physical computing in his works, in an attempt to technologically reincarnate concepts rooting from everyday life and its occurrences.